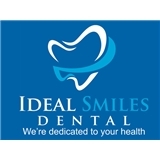 Ideal Smiles Dental (Staten Island) - Book Appointment Online! Dr. Daniel Kluchman knows how important it is to have a beautiful, healthy smile. A healthy smile helps boost your confidence both in your professional and social life. Also, your oral health is closely linked to your overall health. Dr. Kluchman’s goal is to build long-term relationships with his patients, learn their individual wants and needs, and educate them on maintaining good oral health. Your comfort and health are most important, therefore, you can expect quality dental care from Kluchman Dental.